Irish Coffee Milkshake Shooters are easy, fun, grown-up individual desserts perfect for parties, entertaining or St Patricks Day. Irish cream liqueur is blended with coffee ice cream, topped with whipped cream and chocolate shavings. This is the ultimate party dessert, because on New Year’s Eve is the ultimate party of the year and we like to go all out. If you’re having a party and serving party food, it’s really difficult to serve dessert, so why not give everyone their own individual desserts? I love giving everyone their own desserts and these can be made hours ahead of time so you can make them the day of your party or event and just keep them refrigerated until needed. I would try and make 2 per person because it is difficult to drink just 1 (I know this from experience). This is a great alternative to traditional eggnog. During the holiday’s, my go-to after dinner drink is Irish cream and I have taken it to a whole new fun level. Who doesn’t love a milkshake? Coffee ice cream and Bailey’s Irish cream is blended, poured into shot glasses and topped with whipped cream, chocolate shavings and chocolate cookies that I found at my grocery store. The whipped cream is unsweetened because I think the drink is sweet enough but if you like your cream sweet, you can add a couple of tablespoons of sugar before whipping. 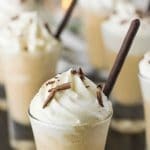 If you’ve tried these Irish Coffee Milkshake Shooters or any other recipe on the blog then don’t forget to rate the recipe and let me know how they turned out in the comments below. I love to hear from my readers! Irish cream liqueur is blended with coffee ice cream,topped with whipped cream and chocolate shavings. Whip the cream to stiff peaks and set aside. To a blender add the ice cream and Irish cream. Blend until smooth. Add the whipped cream to a piping bag (or ziptop bag with the corner snipped off) and pipe the cream on top of the Irish cream mix. What a delicious idea – these are perfect for a party! Could you use Irish cream coffee creamer instead of the Irish Cream to make it kid friendly? Yes, this is a great idea. Enjoy. Oh Janette, such a tease for a pregnant woman! I know what I’ll be enjoying in a few weeks 😉 Hope you had a wonderful New Year my dear! I love this so much! 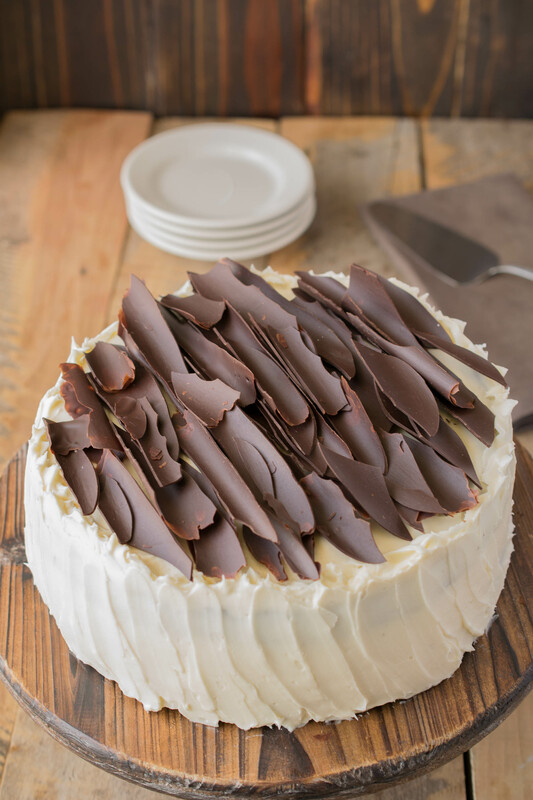 Irish coffees are my family’s favorite after dinner treat so everyone would love this twist on it!